SaraPath Diagnostics® provides a wide range of anatomic and clinical pathology services to physicians, hospitals, clinical laboratories and surgery centers. Since 1975, SaraPath’s team of board certified pathologists has worked with clinicians to advance patient care and to optimize treatment and recovery. Our pathologists do not see patients directly, but work closely with your physician to evaluate specimens for the presence of cancer, disease or abnormal conditions. The types of specimens we receive are primarily tissue, cytology fluids, cytology Paps and other gynecological specimens that your physician obtained while you were in their office, or while you were a patient in a hospital or ambulatory surgery center. Because of the critical role pathologists play in the diagnosis and treatment of disease, and the extensive education and training required for pathology certification, pathologists are sometimes referred to as the “Doctor's Doctor”. In addition to completing an approved medical school and residency program, pathologists must generally obtain certification from the American Board of Pathology or the American Osteopathic Board of Pathology. Certification in anatomic and clinical pathology requires five or more years of training and many pathologists spend additional years of training to receive certification in subspecialty areas of pathology such as dermatopathology, cytopathology and hematopathology. 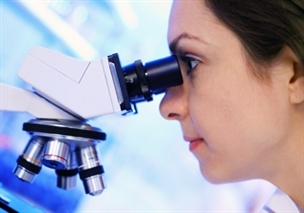 For more information about SaraPath’s experienced, board certified pathologists, please click here. SaraPath’s laboratories are supported by more than 90 experienced technical and administrative staff and have received accreditation by the College of American Pathologists (CAP). The CAP Laboratory Accreditation Program is an internationally recognized program and the only one of its kind that utilizes teams of practicing laboratory professionals as inspectors. Designed to go well beyond regulatory compliance, the program helps laboratories achieve the highest standards of excellence to positively impact patient care. For more information on SaraPath’s licensure and accreditation, please click here. Pathology test results are reported to your ordering healthcare provider generally within one to two business days after receipt and processing of your specimen(s). Certain tests take several days to weeks. Once you and/or your healthcare provider receive your results, you’ll want to discuss them together and decide on the appropriate treatment, if necessary. Please ask your healthcare provider to contact you when your test results have been received. You may also obtain your test result directly from SaraPath. For more information click here. You may also download and submit a request form here. Once we receive your completed form, you will receive your test result within approximately 30 days. SaraPath participates with most insurance plans as an in-network provider, including the major plans such as BlueCross BlueShield, United Healthcare, Aetna, Cigna and Humana. For a complete insurance providers list and for more information on our billing and patient financial services, please click here: Billing Services. If you have questions or need assistance, please contact our Patient Services Center directly at 941.362.8900 or toll free at 877.362.9144, or send us an email.